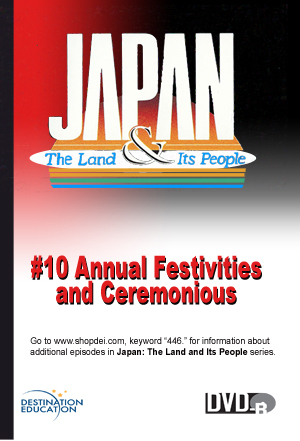 This enlightening program explores the various seasonal festivals and ceremonies of Japan. It highlights some of the many Kami, or gods, including scholarship, rice and tobacco. The program also explains Japanese beliefs as expressed through ceremonial occasions such as funerals, weddings and Shichi-go-san (Children’s Day).